On 23rd June the majority of citizens of the UK expressed their view that they do not want to continue the current relationship between the UK and the EU. Whilst the result has exposed the different perspectives and relationships between our different countries and different peoples both within Europe and beyond, the outcome of the referendum is clear. It is a watershed moment in UK politics and a new debate has now opened up as to how the vote to change the current relationship between the UK and the EU will be realised. 2. How to negotiate and establish the best outcome for Northern Ireland. The goal must be to achieve an outcome that is in the interests of all our people and those with whom we will continue to have a relationship. This means carefully debating the kind of relationship we want to have with the EU and exploring new relationships with other countries around the world. 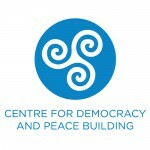 CDPB are continuing our important work with EU Debate NI – now more than ever we need to have an informed and inclusive conversation about how we get the best outcome for Northern Ireland. We have launched a Post-Referendum Briefing Paper “Establishing the best outcome for NI” and created a post-referendum Toolkit allowing all in our society to understand the issues and to have events that allow communities to consider the kind of relationships they envisage with the rest of Ireland and Europe. We look forward to working with partners across the public, private and community sector to have this collective conversation based on civic participation and engagement. 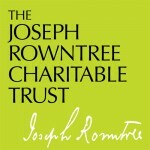 CDPB are grateful to the Joseph Rowntree Charitable Trust who have generously supported the EU Debate NI programme.